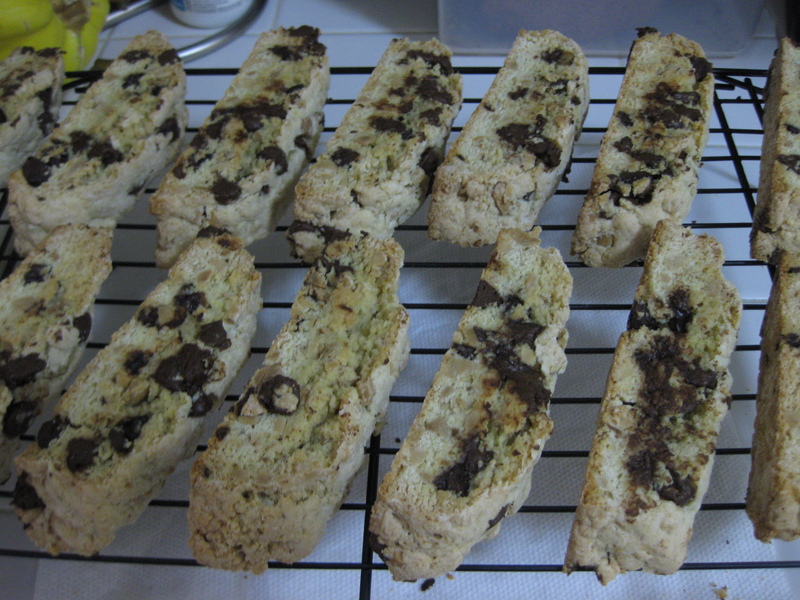 I have always wanted to try my hand at making Biscotti. As my mother and grandmother always says “It goes well with tea.” As an avid tea and coffee drinker, I definitely love snacks that I can dip into my tea, without what ever I have dipped, deciding to fall to the bottom of my cup. 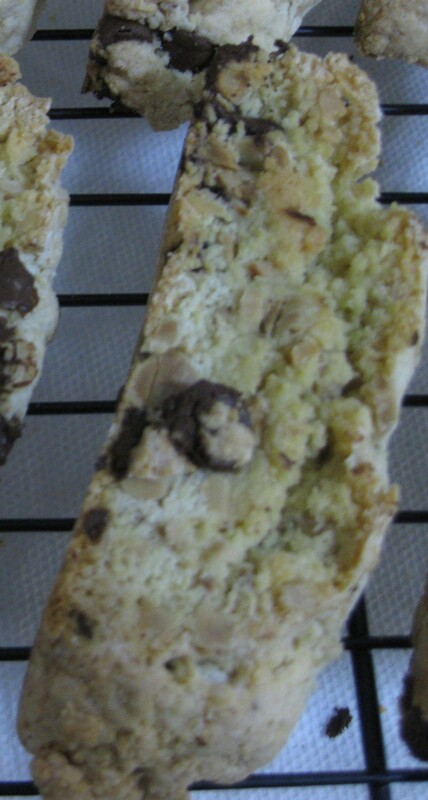 Biscotti is one of those cookies that are meant for dipping. 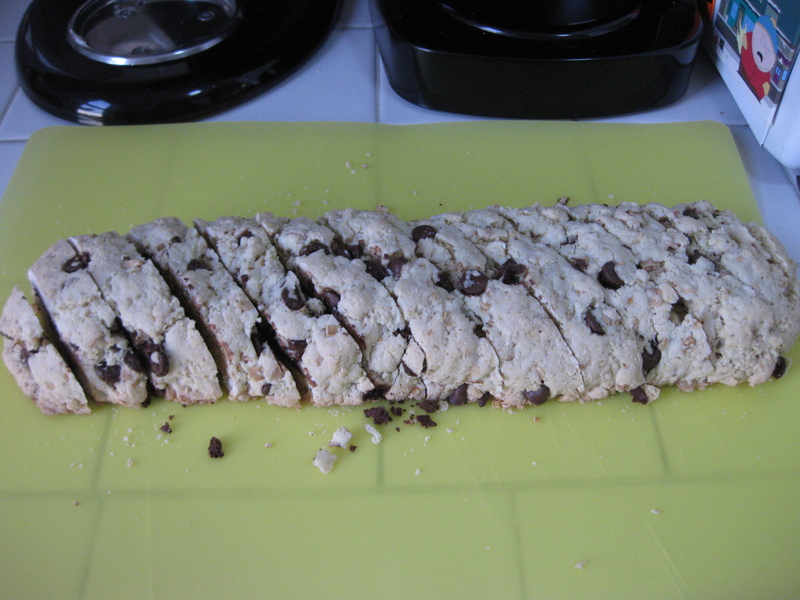 The word Biscotti literally means “Twice Baked/Bake.” After the first initial baking of the loaf of cookie, you have to slice it and then bake it twice again. This makes a nice, toasted and hard cookie that is great for dipping into your afternoon tea or coffee. 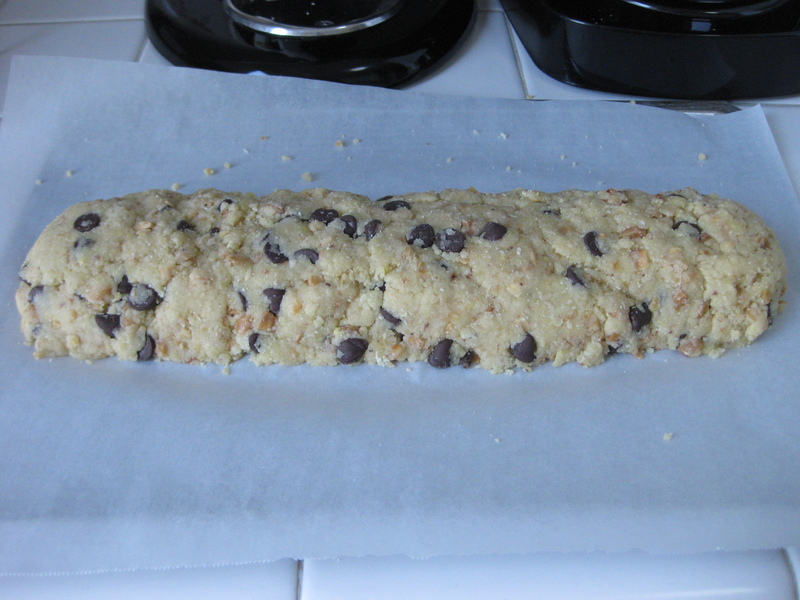 Transfer logs to a cooling rack and allow to cool for 10 minutes. 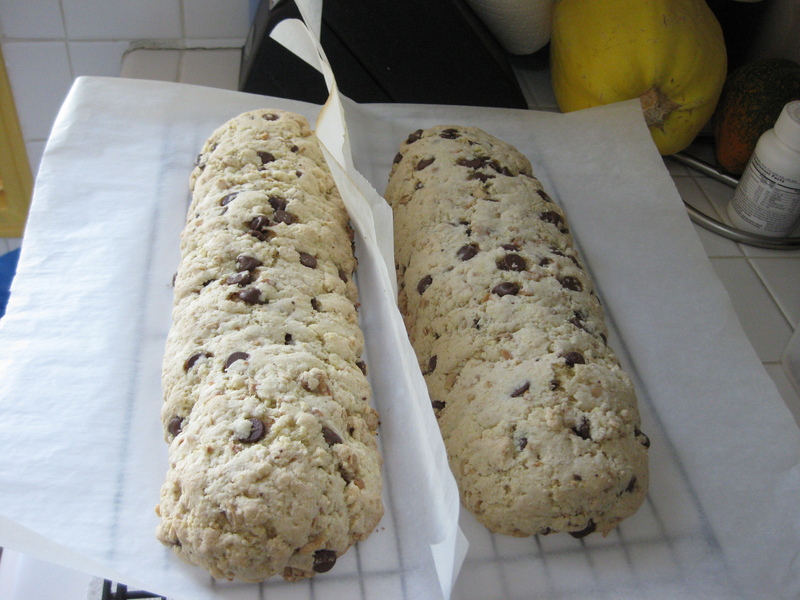 Allow biscotti to cool on a baking rack and store in an airtight container. 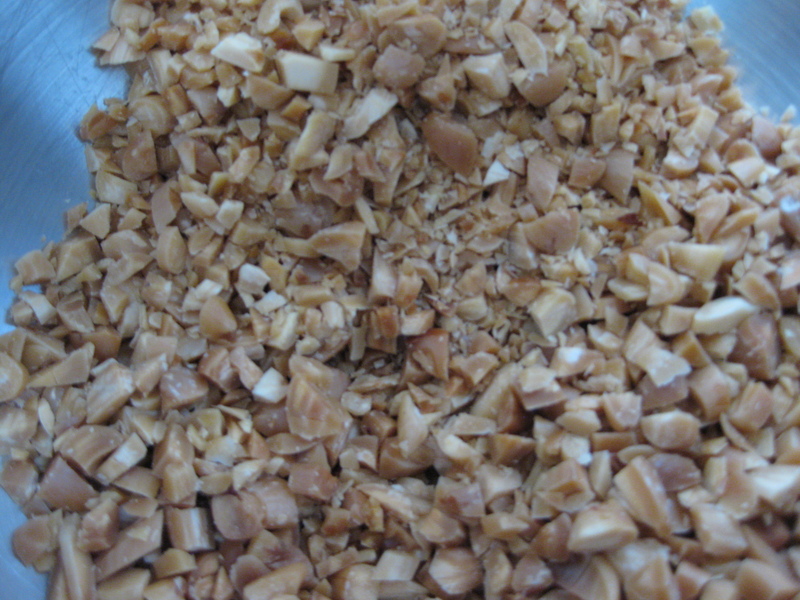 Try using only 1 teaspoon of vanilla extract and 1 teaspoon of almond extract to get the almond flavor. Ohh..and butterscotch chips (or white chocolate chips) instead of almonds.